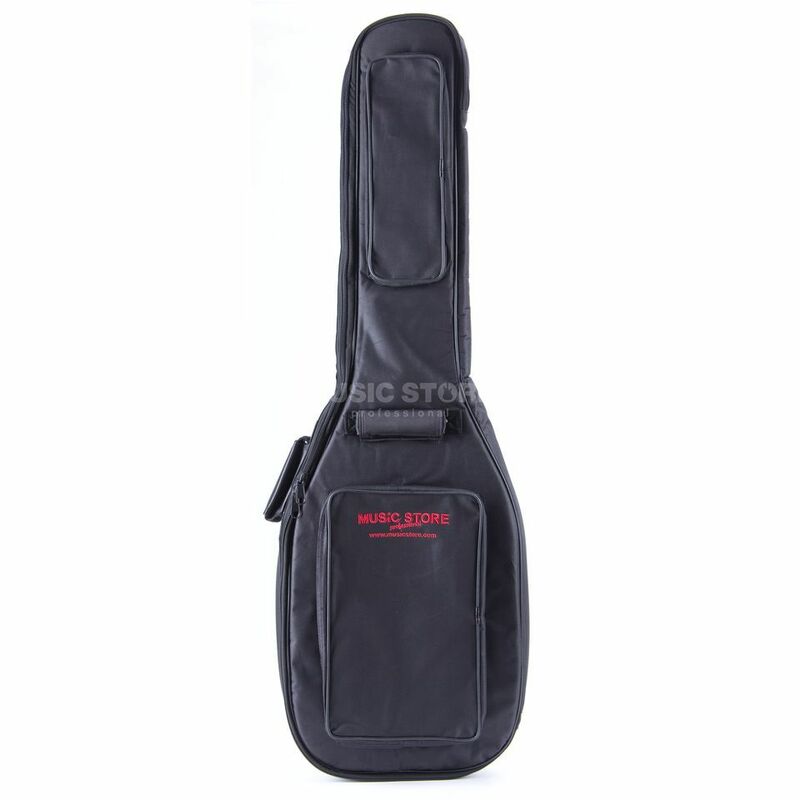 The Music Store Deluxe Bass Guitar Gig Bag is a great value for money gig bag. Made out of quality nylon and stitching, to ensure no rips or tears. Features one large accessory pocket for music books and other larger accessories; and one smaller pocket. Two padded handles will always make sure you have a comfortable and secure grip. Also includes with a shoulder strap. great gigbag build with very good materials and with good finishing, seens it was build to last. It have a few options for carry it around such as like a backpack,our to carry in your hand, our hang on the shoulder like a bag. All this in a very good price. This gigbag came along with Baphomet 5 fretless. Nice compact shape. Simple and functional. Theres also nice padding which covers well the instrument. I have been very pleased with this. For the price this is very well made gigbag.